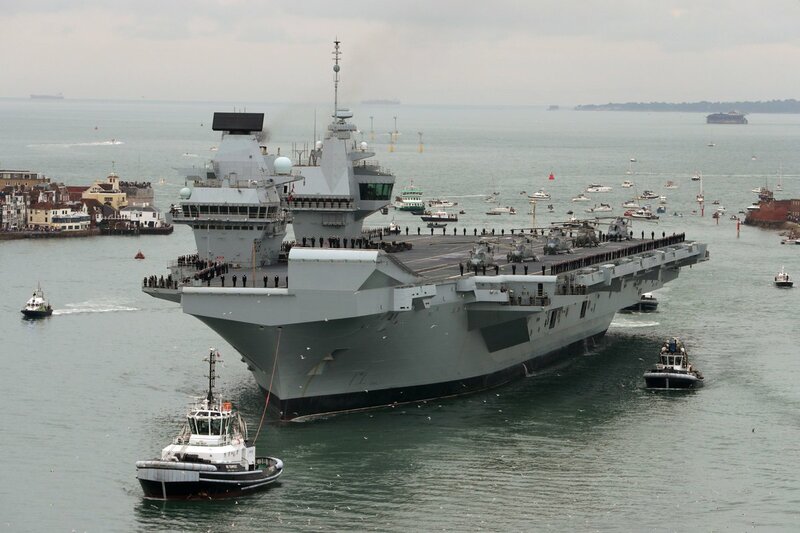 Royal Navy aircraft carrier, HMS Queen Elizabeth, departed her home port of Portsmouth on August 18, 2018, bound for the USA to land fast jets on deck for the very first time. The four test pilots are getting in last-minute training ready to take their specially-modified stealth fighters aboard HMS Queen Elizabeth next month. They’ll conduct around 500 landings and take-offs on the 900ft deck of the future flagship – the first time the Portsmouth-based warship has hosted fast jets. Once in the US, 200 engineers and experts from the F-35 Integrated Test Force – based at Pax River air station 50 miles outside Washington DC – will embark with a myriad of sensors and data recorders to see how the state-of-the-art aircraft perform in various weather conditions/sea states and carrying various payloads. The ski ramp was introduced on the previous generation of british aircraft carriers to give Harriers extra lift, allowing them to take off at a slower speed/heavier weight than normal – and has been retained on the new flagships for the same reason. 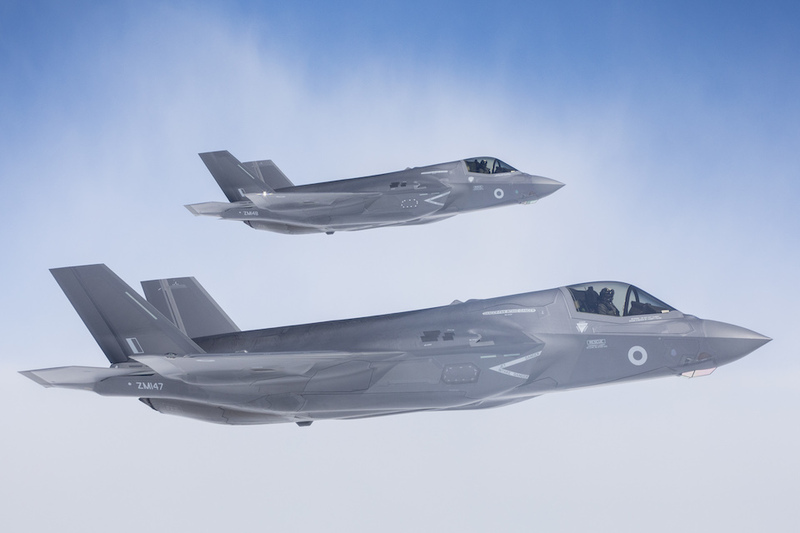 Two specially-modified F-35Bs will conduct the trials aboard HMS Queen Elizabeth in two phases of trials this autumn, trials broken up by a high-profile visit to New York. Weather and serviceability permitting, the first deck landing on the RN’s 65,000-tonne future flagship is earmarked for the last week in September. 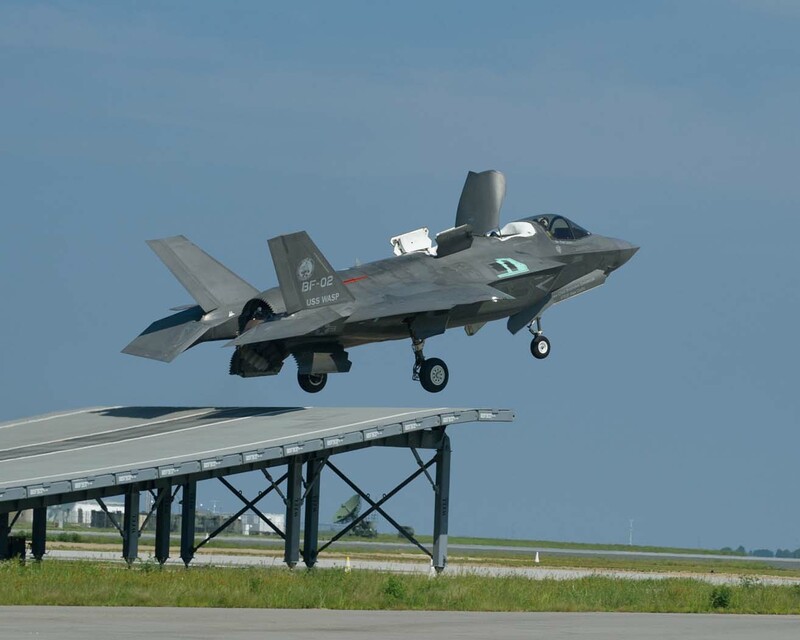 The F-35B is now operational with the US Marine Corps, but US ships do not feature the ski jump, which rises about 20ft above the regular deck. 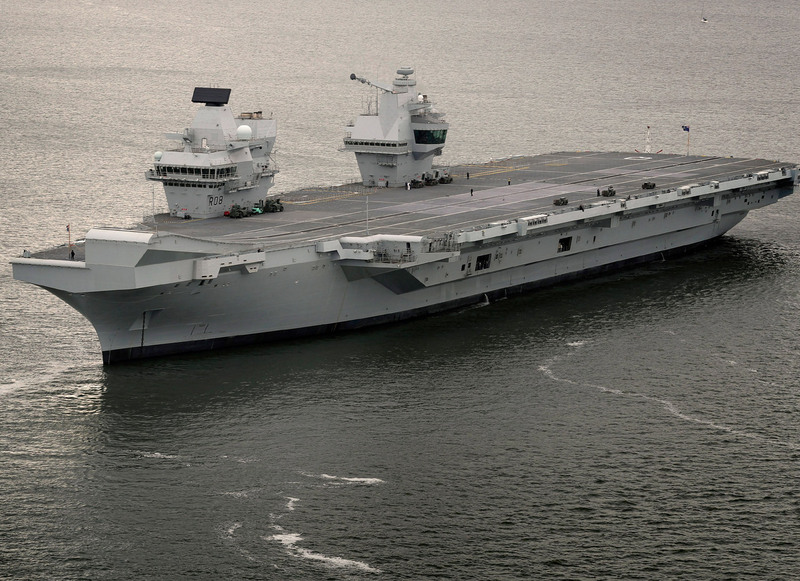 This deployment to the United States will be another first for the uk aircraft carrier. Crossing a major ocean with 1500 sailors, aircrew and Marines embarked and the spectre of the first F-35B Lightning landing on the deck in September is very exciting for all Royal Navy members. As a critical step towards delivering the UK’s new Carrier Strike Group, this deployment demonstrates the astonishing collaborative effort that will enable the new F-35 jets to fly routinely from the Queen Elizabeth class aircraft carriers. At the heart of the Maritime Task Group, the aircraft carrier is well protected and sustained, ready to operate around the world as a potent and exceptionally flexible instrument of british foreign policy. These first F-35B embarked trials in a UK aircraft carrier are not only key to future operational success, but represent an iconic moment for the modern Royal Navy. HMS Queen Elizabeth is the first of a new class of aircraft carriers that will be the biggest and most powerful warships ever constructed for the Royal Navy. The Queen Elizabeth Class will be utilised by all three sectors of the UK Armed Forces and will provide eight acres of sovereign territory which can be deployed around the world. Both ships will be versatile enough to be used for operations ranging from supporting war efforts to providing humanitarian aid and disaster relief. 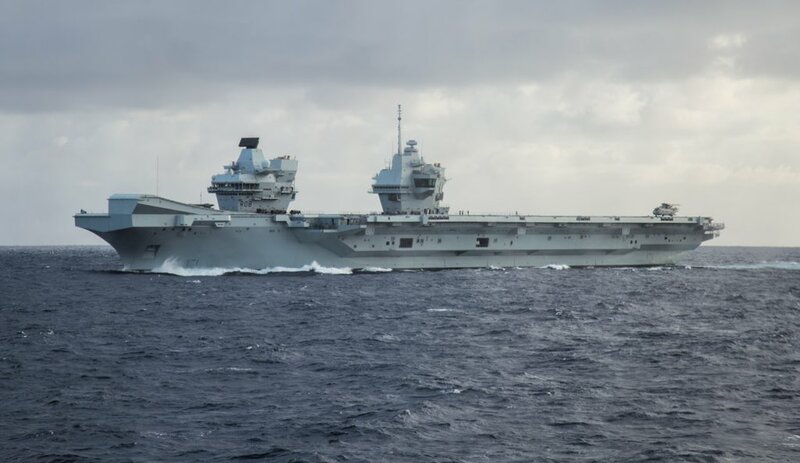 HMS QUEEN ELIZABETH and HMS PRINCE OF WALES will have increased survivability as a result of the separation and distribution of power generation machinery throughout each ship. The class has been designed with twin islands, which separates the running of the ship from the flying operations resulting in greater visibility of flying operations. The Highly Mechanised Weapon Handling System enables a strealimed crew to operate a vessel much larger than the carrier being replaced, meaning that each ship will have a total crew of 679, only increasing to the full complement of 1,600 when the air elements are embarked. While the precise mix of aircraft boarded will be dependent on the mission, the carriers have the capacity to embark a maximum of 36 F-35B and four CROWSNEST AEW helicopters. Alternatively, they can also carry up to 12 Chinook or Merlin helicopters, and eight Apache attack helicopters enabling the QE Class to support a broad range of operations.